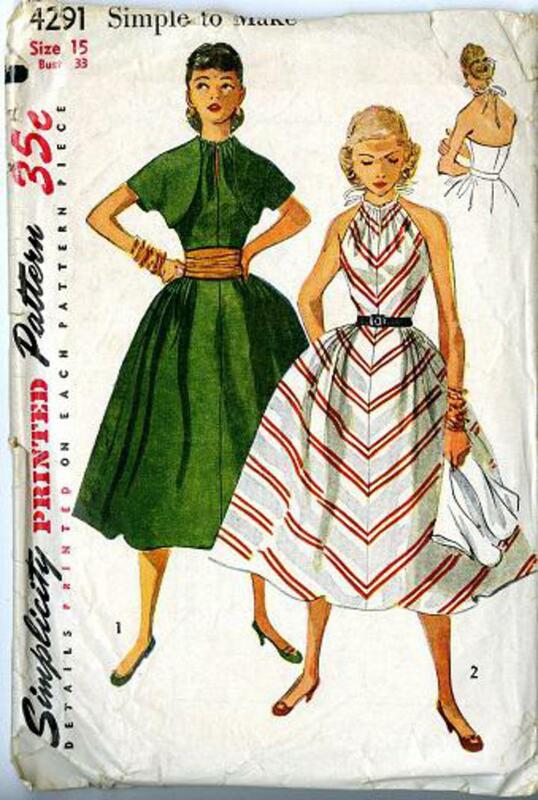 1953 Simplicity #4291 vintage sewing pattern, misses' one-piece halter dress, cummerbund and bolero, size 15. The front bodice of the 'simple to make' halter dress is gathered at the neckline with a tie that fastens into a bow at the back. 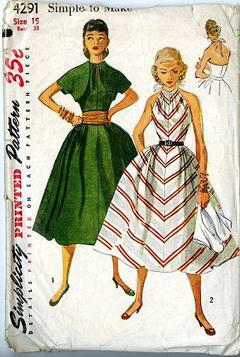 The full skirt features gathers at the waistline and has pockets in side seams. A contrasting cummerbund is worn with V. 1 and V. 2 has a contrasting jacket.